What should only be a half hour’s drive took me two and a half hours. It’s all about the road, what you drive and how, right? 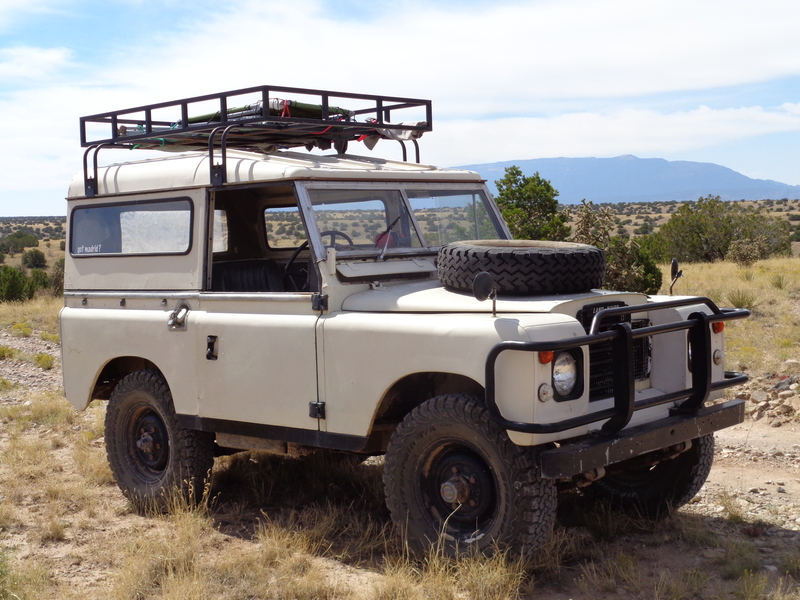 Well, this forty something year old English woman in her forty something year old vehicle drives pretty slow on those dirt roads near Madrid, NM. Averaging ten miles an hour, I thought we did pretty well. 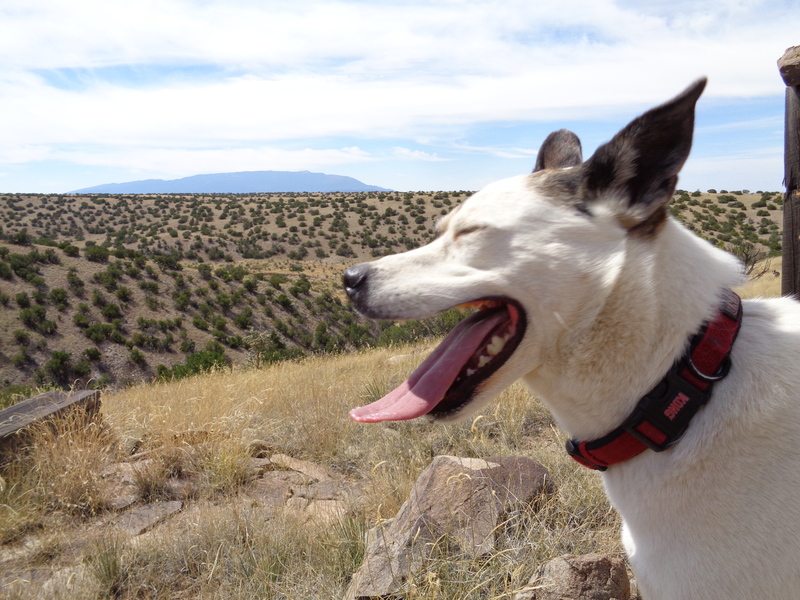 I know these roads fairly well after exploring them all last winter, so I knew the prime spot for the first dog run, up high overlooking the Rio Grande valley and across to the Jemez, the Sangre De Christos, and Sandia Mountains. I sipped on the water and then explored a deserted home for sale on this bluff. Twenty acres and a 3/4 built two story home for $60K? 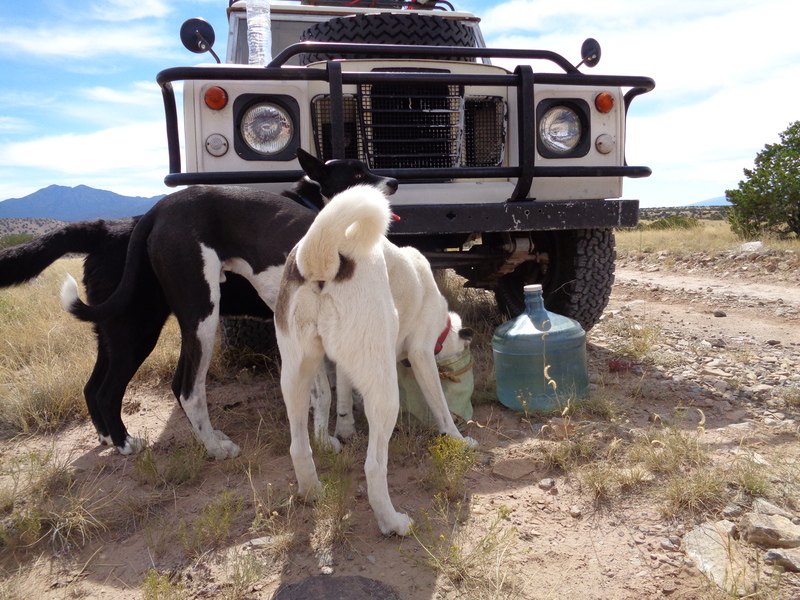 Hmm….The dogs finally came back and had a drink before we headed out again. This time in low gear for the incline ahead. 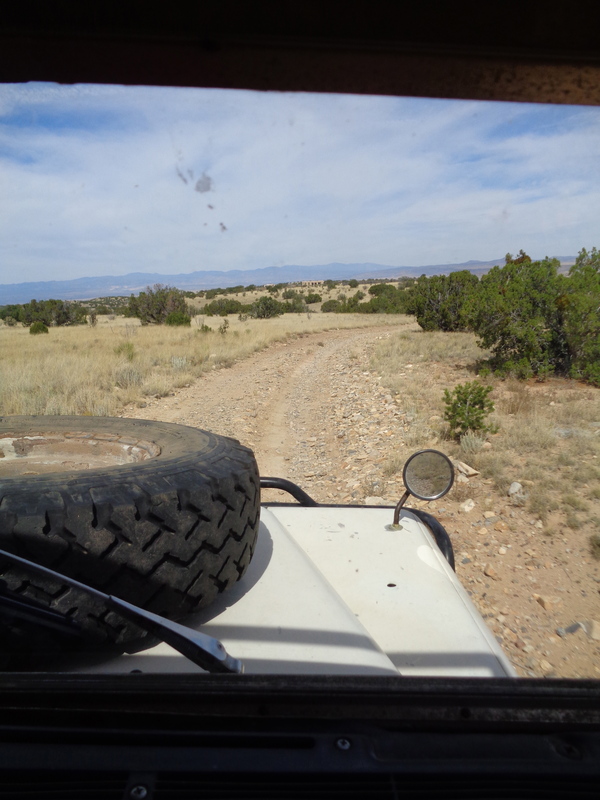 We came out at the junction with I25 exit 264 which is where you’ll drive to if you follow me to Cochiti Reservoir. 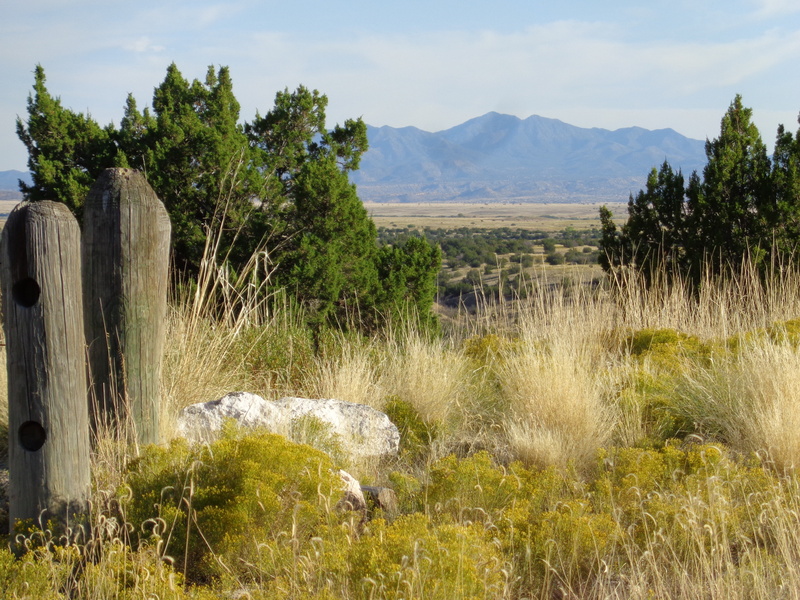 From there it’s another 20 or so miles on NM 16, taking the north turn onto Hwy 22 to the Recreation area. 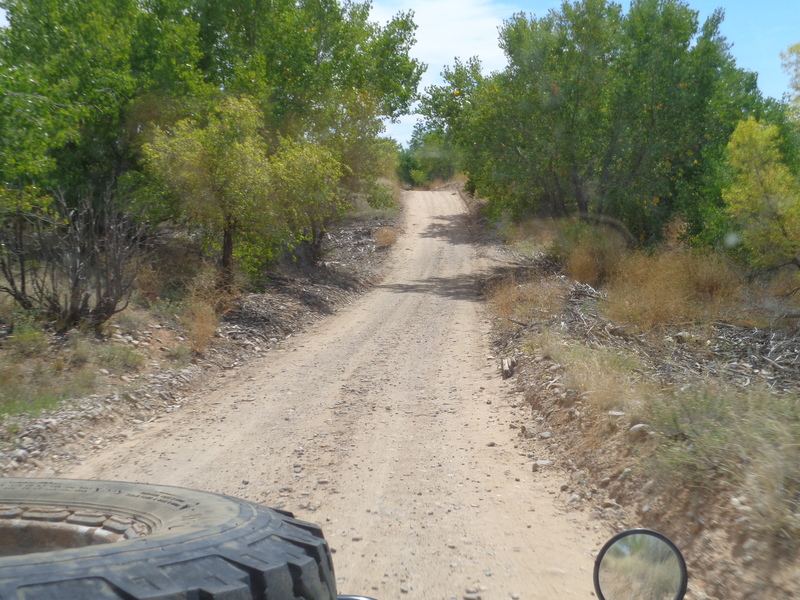 This is one of my favourite paved roads, winding loosely as we head towards the Jemez Mountains. 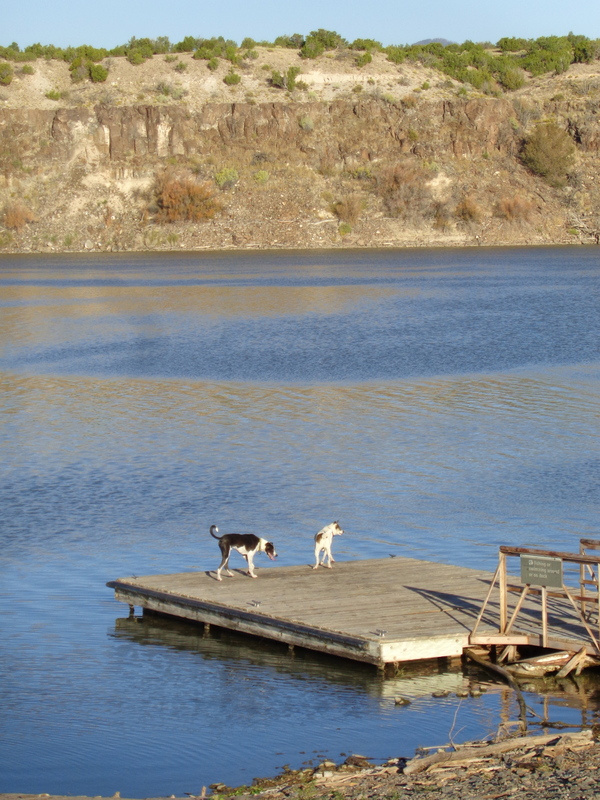 The campsite is on the way to the boat ramp and only open from mid April to mid October. $12 for the non-elect tent sites on the loop to the east, the rest of the RVs and bigger campsites are $20 and to the west. 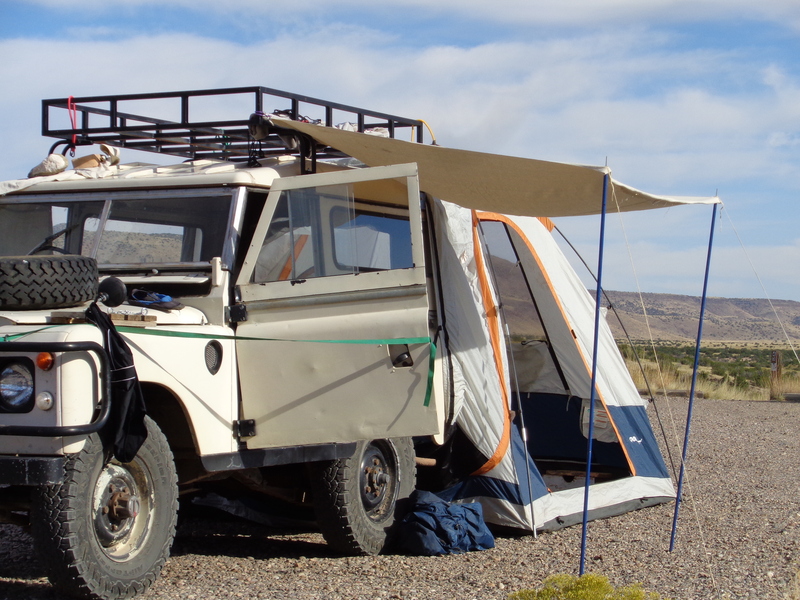 We set up camp and then drove down the water’s edge for a swim. The water used to be nasty (That’s the scientific term) and dead bodies had been found some years ago. It keeps the faint hearted away. I swam twice. 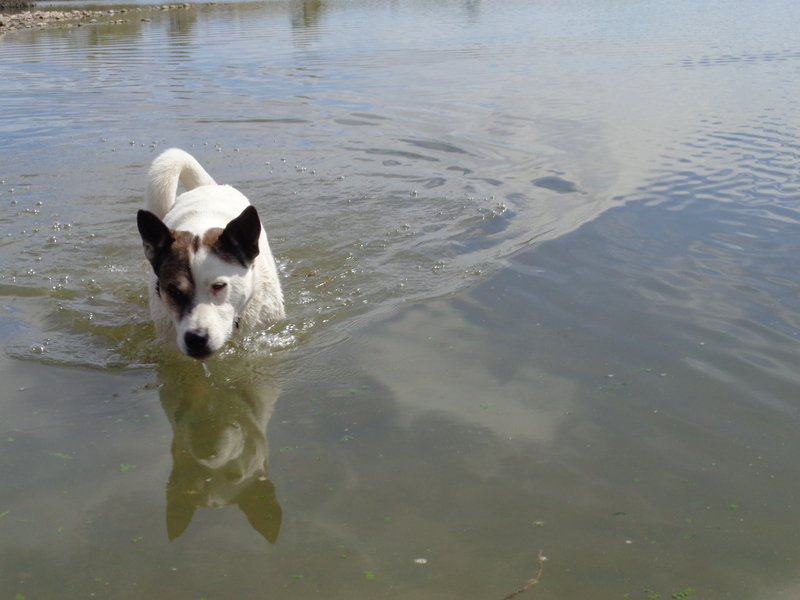 Rosie didn’t get out of the water! 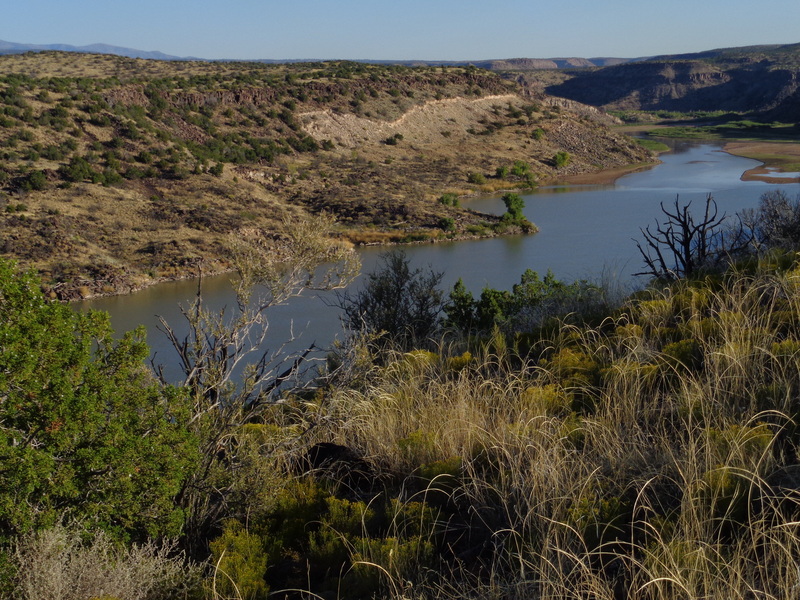 Cochiti Dam was built in 1965 by the US Army Corps of Engineers, despite the land belonging to the Cochiti Pueblo and their protests over losing agricultural land amongst other justified claims. 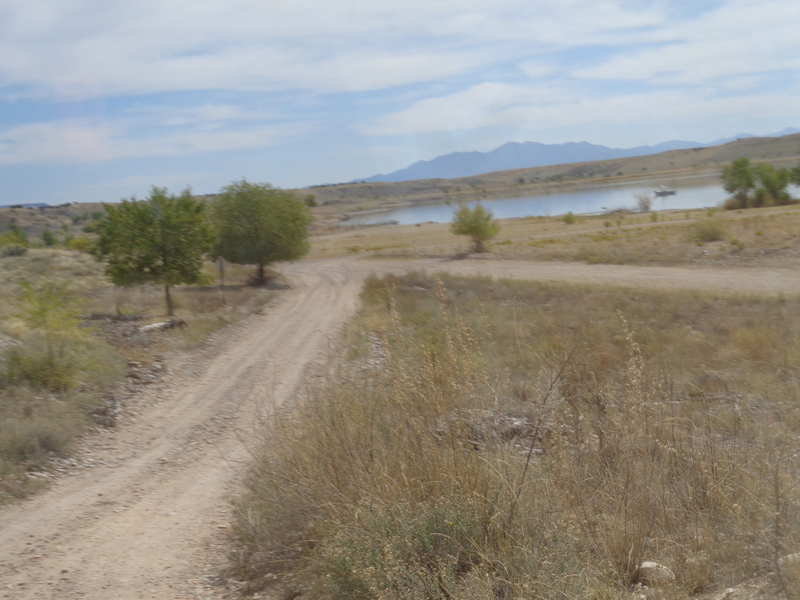 The 1960 Flood Control Act had a louder voice and this huge reservoir was constructed. It now stretches some five miles across and holds 64 million cubic feet of water from the Rio Grande. It is also the ugliest dam I have seen. Yet there is also an unusual beauty there too. 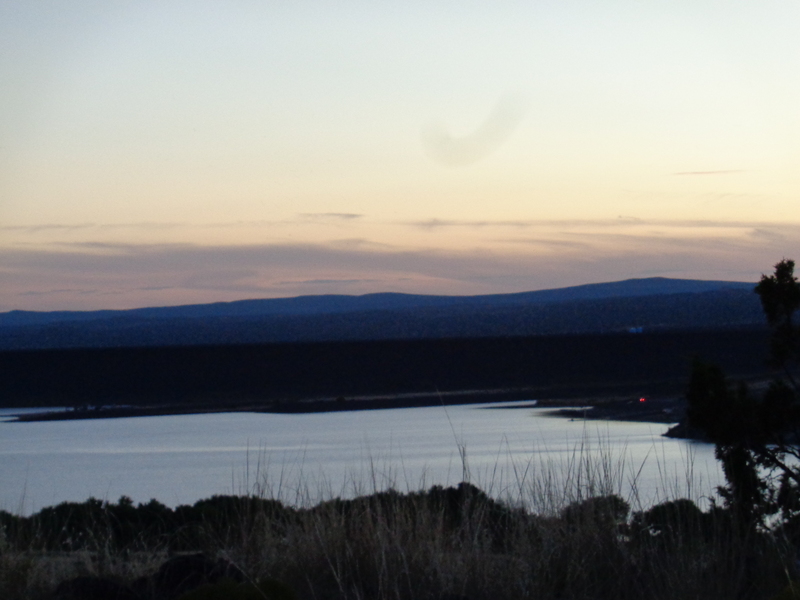 If you look to the east, up river, the land folds down gently into water, trees line the little coves, there is a small beach set aside for windsurfers (which is how I came to know of the place, being a windsurfer in NM is a small community!). This side of the reservoir is wonderful. Then you look to the south and you see a huge black rocky wall. It is ugly. There is nothing to recommend it except as a great reminder of utility versus aesthetics. 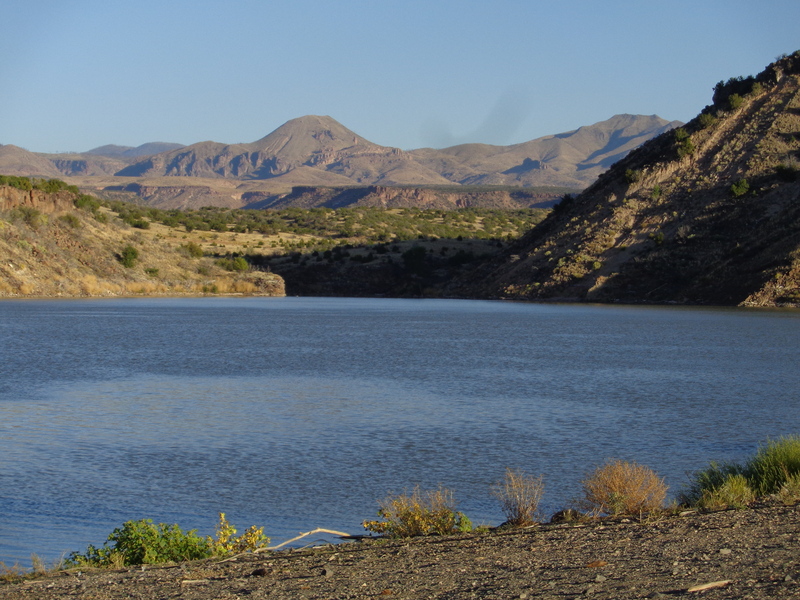 There are many lakes and reservoirs in the Southwest, most are created to fit the environment, flowing from nature to dam and back to nature. The Williams Creek Reservoir in Colorado is one of the most beautiful places I know. Oh well, back to the campsite. Another example of barren. Utilitarian. Sigh. Yet the views to the east and the west are worth the lack of shade. The tenting area is a huge round gravel parking lot with some tables and trash cans. Nope, not one I’d go back to! The dogs didn’t care. 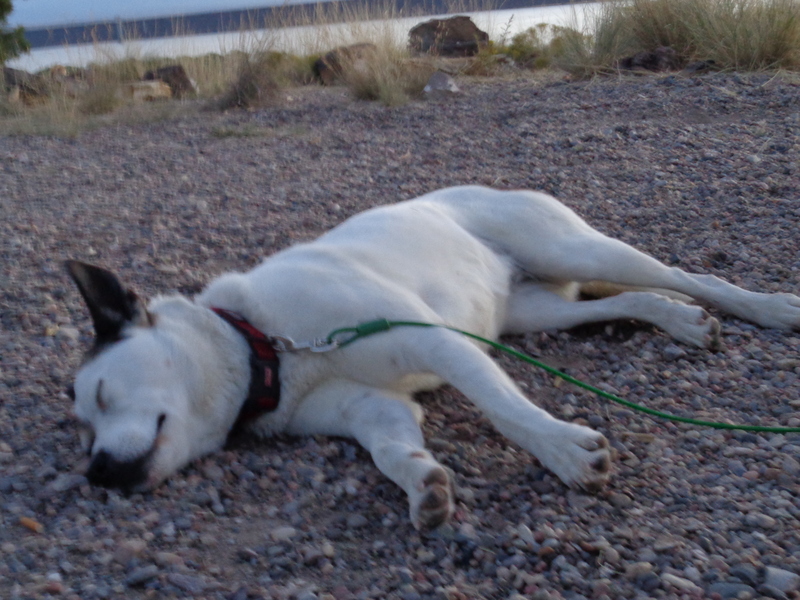 Harold was exhausted. There are no fire rings but since the afternoon had turned out to be hotter than I’d expected, I was okay with simply sitting, cooking up frito pies, drinking a malty beverage, and staring at the sunset and moonrise. The sun dropped and the blue black mountains shrank in the distance. The lake turned to silver under a full moon. A sleepy evening for all of us. I slept like an insomniac on a cold hard bed…I had a terrible night’s sleep. My fault, I hadn’t checked the sleeping bag and couldn’t zip it up. I’d also forgotten the extra bedding and my pajamas. I finally persuaded Ollie to join me on the camp bed, I stole Rosie’s blanket as she’d jumped onto Ollie’s bed, and I slept briefly, snug with a 60# dog to hold onto. In the morning, the dogs woke us up early. I finished one coffee then followed them down the hill through the grass, over a fence and along the water’s edge. No one was around. The dogs ran free. Beautiful. Okay, maybe I will come back. 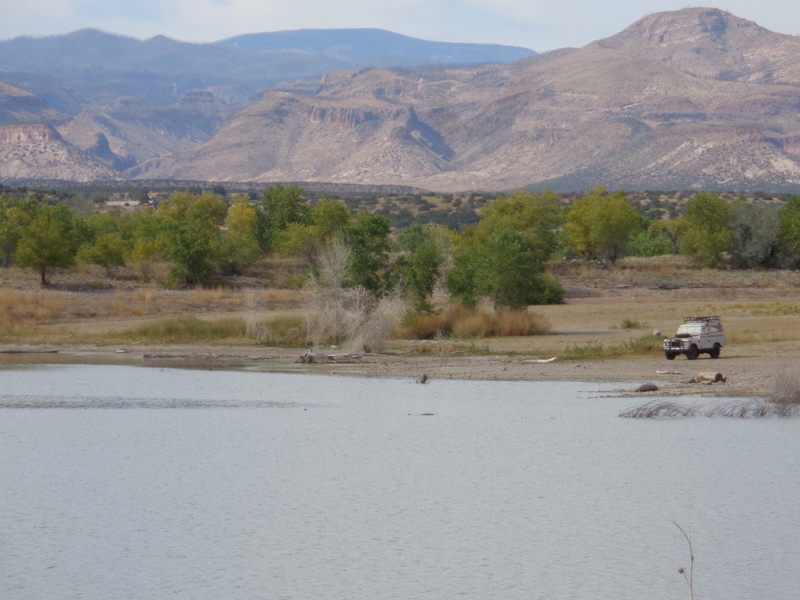 Looking upstream to the Rio Grande. We tried to find or even make a path to reach this little valley but we couldn’t. 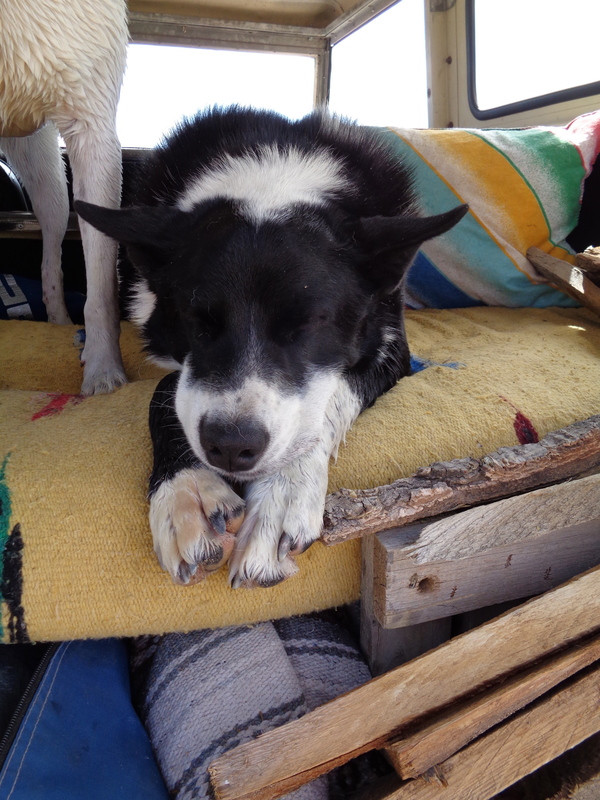 We spent the morning playing in the water and then headed home. A short but sweet night out of town, it was a perfect little get away for us. I needed a change of perspective. I found a sense of peace. Love the shots take of you and your dogs and the car! 40 year old car? I had a 15 year old car in Korea (good brand) and all my local friends said it was garbage. I disagree though and think good cars get better win age and the right maintenance. 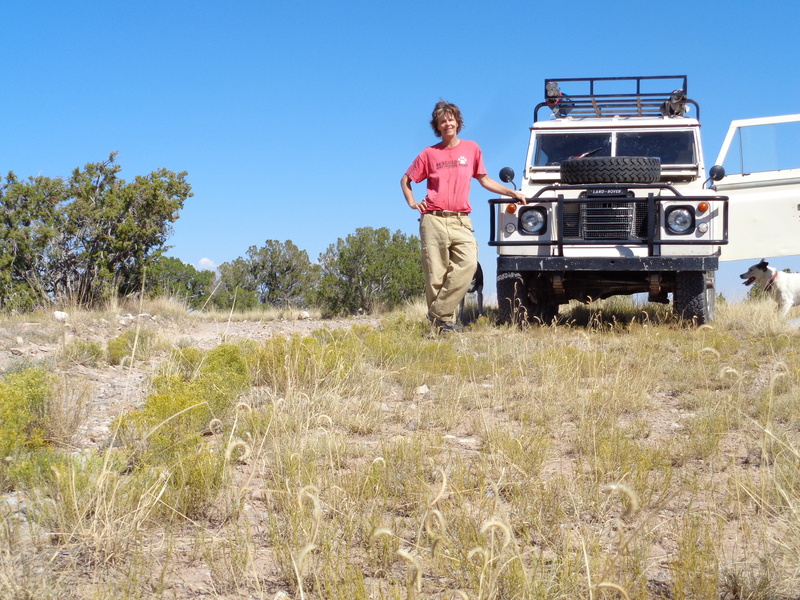 Anyway, love the way you wrote about this journey through NM! Hope to go someday! Thanks for sharing.